New Facebook Page for Gavin Historical Bricks – David Safanda Design Solutions Inc. I recently developed a custom Facebook page for Gavin Historical Bricks. Not long ago I wrote a brief article regarding some of the visual enhancements that can make for a more interesting and informative Facebook profile page. Historical Bricks contacted me with a request to put these concepts to work on their company Facebook page. 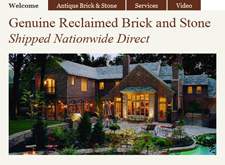 Gavin Historical Bricks is a supplier of gorgeous antique specialty bricks, pavers and cobblestones. 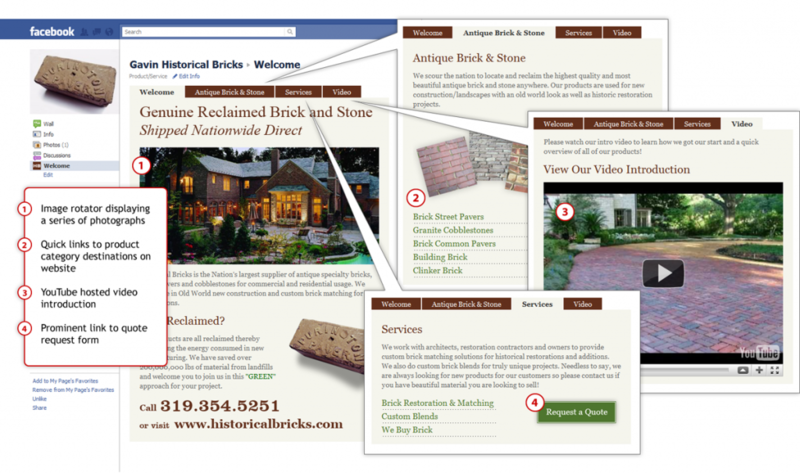 My goal was to build an engaging custom Facebook page that offers visitors an overview of Historical Brick’s services and products. I incorporated a series of tabs that allow one to navigate between sections. Content for these sections included condensed variations of the same categories that exist on their primary web site. You can view their Facebook page in action here.